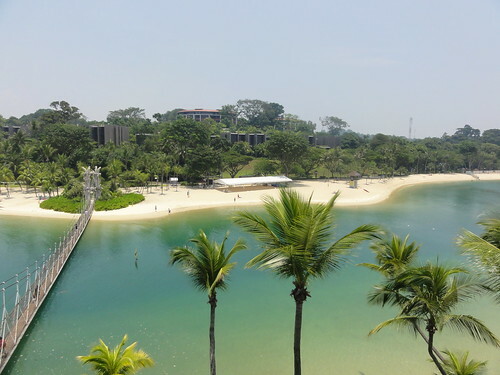 Sentosa Island (or just Sentosa) is a small island situated off the southern coast of mainland Singapore. Promoted as a resort island and a major tourist attraction, Sentosa features the Universal Studios theme park, Underwater World, casino, beaches and hotels. Sentosa seems artificial if you've visited other resort islands in Southeast Asia - everything seems man-made here. More at Guide to Sentosa Island. There are several options getting into Sentosa including cable car, bus, taxi or walk across the Sentosa Boardwalk. 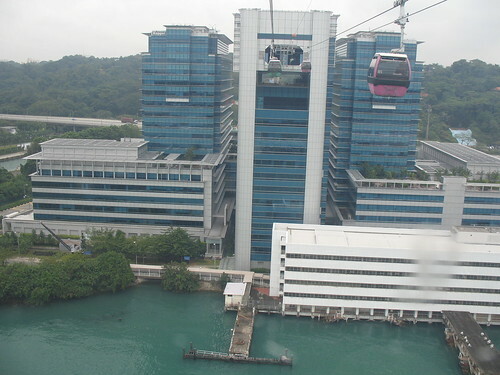 The cable car is the most expensive option (S$26 return) but offers a nice aerial view. The three main beaches in Sentosa are Palawan, Siloso and Tanjung Beach. The beaches are clean and well-maintained but has an artificial feel with its planted trees and shrubs. Underwater World (near Siloso Beach) features an aquarium with marine creatures from various oceans. 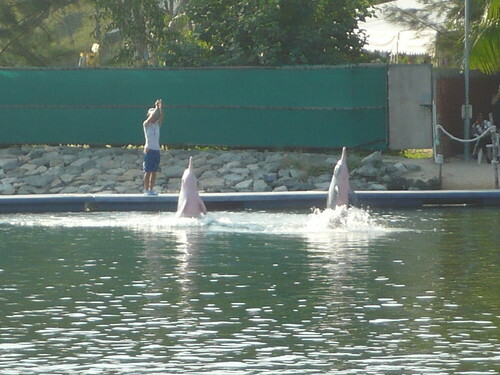 Don't miss the dolphin and seal performances at the Dolphin Lagoon. 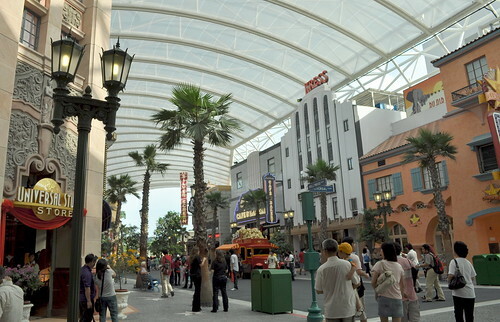 The Universal Studios theme park has now come to Singapore at Sentosa. The theme park comprises of several zones including Hollywood, New York, Sci-Fi City and the Lost World.